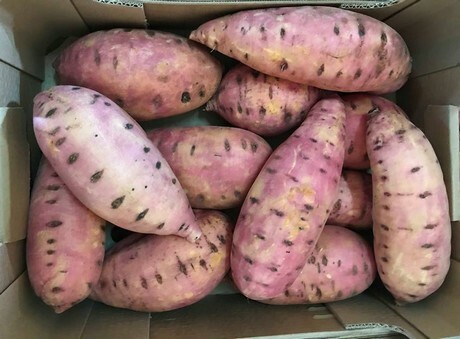 "There is strong Spanish competition for Italian sweet potatoes, although the latter have a better shelf-life, appearance and quality. In addition, there is also competition from Israel and the US. Cultivated areas are increasing in Puglia, but the product is gaining popularity all over the peninsula," explains operator Michelangelo Loizzi. "The produce is still being harvested in Israel and Spain, so prices remain low. The sweet potato season is going well in Puglia despite a few delays due to the rain during harvesting. Operators are looking for cultivars that are more resistant, but they are still being experimented. Overall, both demand and supply are increasing this year." Sweet potatoes are increasingly popular on the Italian market and in supermarkets. "Consumers look for them. Large supermarkets mainly purchase produce from Spain at a lower price, while smaller retailers appreciate the Italian produce, for which quotations reach €1.40/kg."